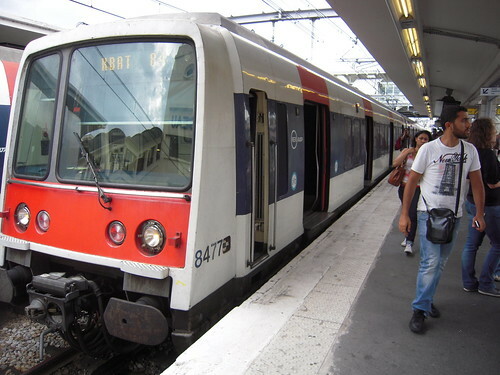 The RER, which stands for Réseau Express Régional or Regional Express Network in English, operates a series of five regional commuter rail lines providing express service that branches well out into the suburbs of Paris. 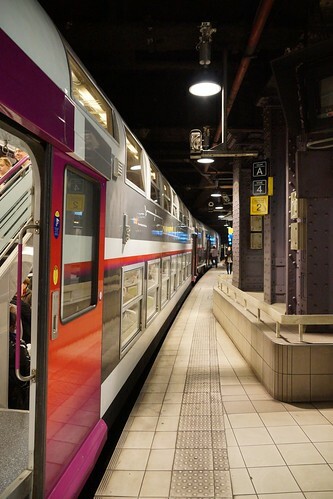 In the centre of Paris the RER runs underground like the Metro and stops in all RER stations. Farther out into the suburbs it provides service along surface rail lines. 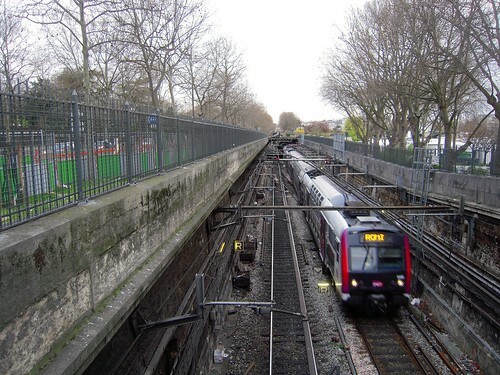 Since the stations are farther apart and the trains are faster, the RER is a good choice for covering a larger distance. 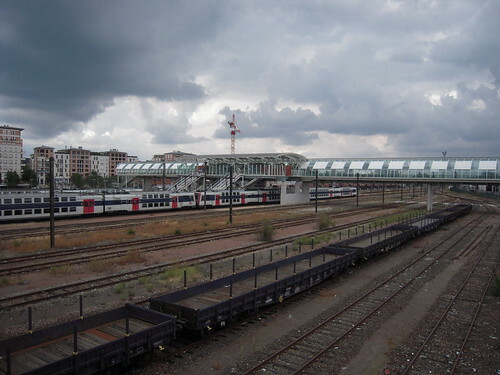 The RER is comprised of 5 main lines designated by the letters A, B ,C, D and E and serves 246 stations on a total of 587 kilometres of track. 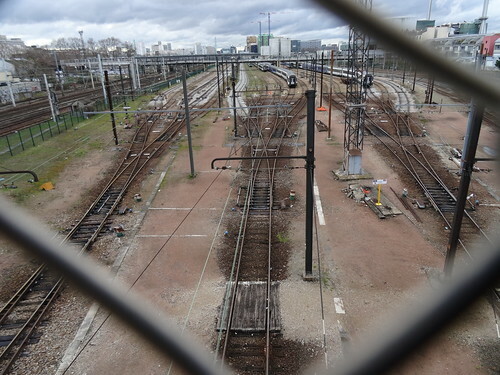 Farther out from the city centre there are numerous locations where the RER lines split into branches which are indicated by a letter and number; ie; A1, A2, A3 etc. The portions of track travelling through the city centre are underground and several major stations are shared with the Metro making it easy to connect between the two services. 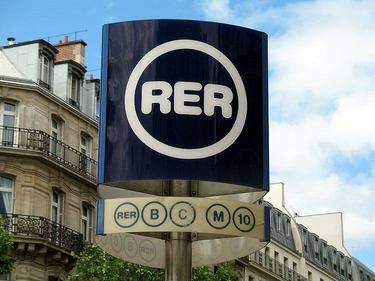 The most popular use of the RER for tourists is for travel to and from Euro Disney (line A ) and travel to or from Charles de Gaule Airport or Orly Airport (line B). Most RER lines branch off to multiple destinations as they head into the suburbs, so be sure you board a train that is going along the correct branch for your destination. Trains are signed according to the last station they are travelling to, so you simply need to make sure the station you are going to is the same as, or located along the branch that leads to that station. If you are disembarking at a station prior to the point where the line branches, you can take any train on that line. When you get to a station enter through gates or turnstiles with the lighted green arrows. The ones with the red circles are just for exiting. 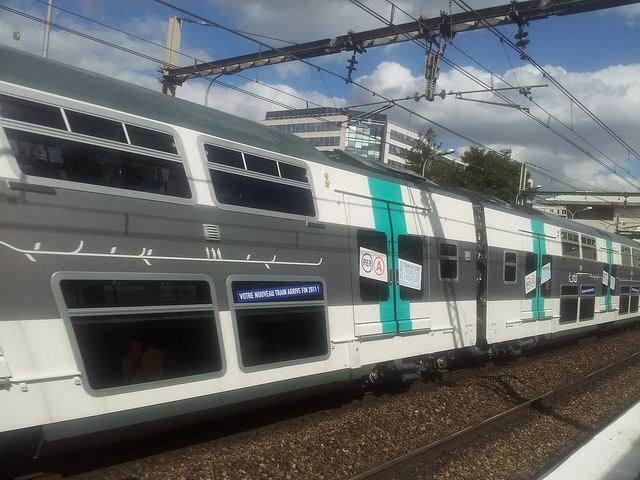 As is the case on the Metro, the doors on the RER trains do not open automatically. You must activate them by simply pushing the button located between the set of doors, unless of course, someone ahead of you has already done so. When you exit the train there may be numerous exits leading out of the station, some of which can be up to a 10 minute walk. Stations have a large map showing the various exits, so stop by and get your bearings to ensure you take the best exit for your needs. Within Fare Zone 1 (Central Paris), fares on the RER are the same as on the Metro and you can use the same tickets. For travel farther out you will need to purchase an additional ticket called a Billet Ile-de-France unless, of course, you have a pass that is valid in those zones. Beyond Zone 1 the additional fare is calculated based on how far you are travelling. For more information on how and where to purchase fares and the different fare options visit our page dedicated to Fares. 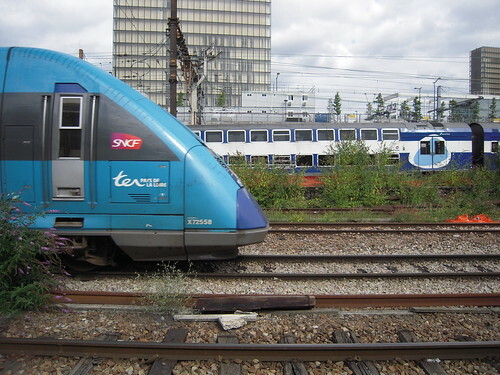 The RER is operated jointly by both the RATP (Régie Autonome des Transports Parisiens) and the SNCF (National Society of French Railways) More information and maps for the RER can be found at the official RATP Tourist Portal. 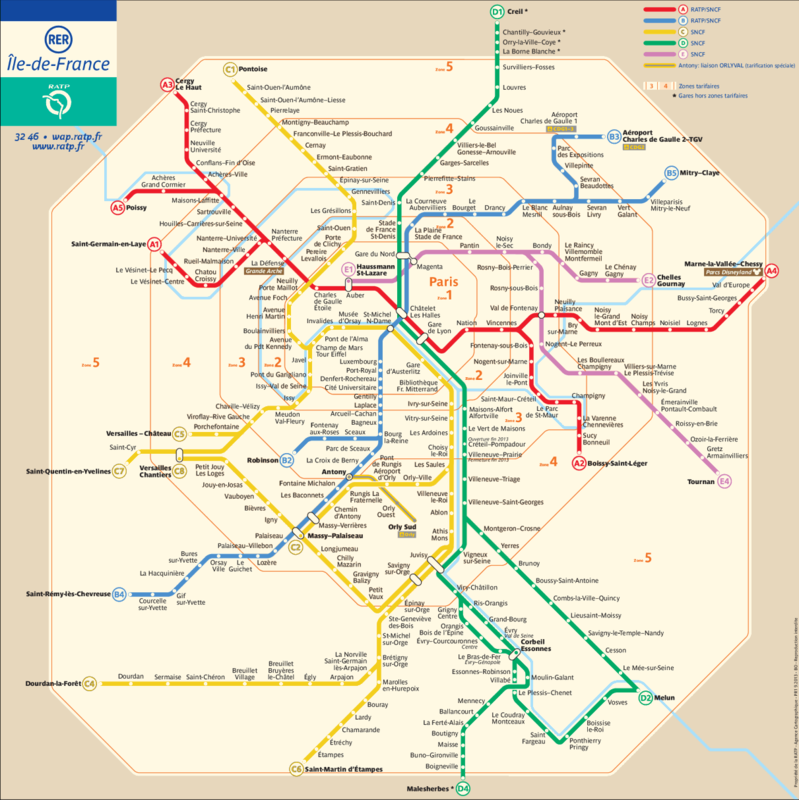 Map and logo are property of RATP and provided with their permission.